On Sunday, June 5th from 2-5 pm I will be having a New Catalog Kickoff – so stop by to get your Brand new catalog and dive right in! Come play with some of the new stamps and products. I’ll introduce you to the new In-colors. And shop my BOGO sale! Already a Paper Pumpkin subscriber then pick up your bag. Enjoy yummy snacks and visiting with friends. 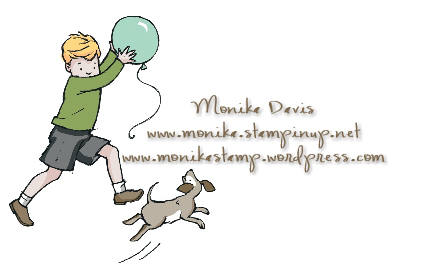 -join my Stampin’ Up! team – get 2 FREE stamp sets included in your starter kit and 10 tickets for my prize drawing! Be sure to RSVP by June 3rd on my website or on Facebook. I used all four products on this note card that we made for Stamper’s Club this month. The Envelope Liners Framelits dies include three sizes to line the envelopes that we sell in our catalog – the little square envelopes, the note card envelopes and the medium sized envelopes. You use these with your Big Shot and standard cutting pads. On this card we put the Washi tape on the card and then stamped “Truly Grateful” directly on the tape. If you want to learn more fun ways to use Washi tape be sure to come to my class this Friday, August 16th – Wild about Washi! We will be having fun making a variety of cards using Washi tape in different ways. The class is offered twice on Friday – at 10:00 am and at 7:00 pm – go HERE to rsvp on my website for the class you want to attend. Have a wonderful day! I have all three of my boys at home right now. Kyle returned from California last night. So I’m a happy mom today. The state of Georgia is having a sales tax holiday for school supplies up to $20 per item from August 9-10. Because school supply items are included in this sales tax holiday, the list of items below will be state tax-free during the holiday period. Please note that you must place your order with Stampin’ Up!® during the tax holiday period in order to receive these items tax-free. Also, keep in mind that this is a state sales tax holiday and may not apply to additional city, jurisdiction, or county taxes. Avoid the crowds and shop online at my website Online Store. Buy One Get ONE FREE! Sale!!! Whatever you purchase at my retired sale you will get EQUAL value for FREE from the Stampin’ Up! Annual catalog and/or Holiday catalog! RSVP by Wednesday August 21st. Gorgeous Grunge is going to be a new go-to stamp set – I can feel it! And I’m even going to sell my retired Extreme Elements stamp set. I pulled it out today because I’m preparing for a new event. A BOGO sale on Saturday, August 24th. Read about it here and come on over to shop that day! But for now I have a card using the new Gorgeous Grunge stamp set. This was another Make & Take project from the Stampin’ Up! Convention. This year at convention you had the option to make your projects there and take them home or take them home and make them later. Because there was SO much to do during convention I did the latter. And so did my roomies – Cindy and Diane. So instead we planned a day to get together once we returned home and we made him here at my house. It was much more relaxed and we weren’t so rushed. But I did tell them we actually have to set a date to do it other wise I’ll keep putting it off. So now I’ll finish my story before I head out to our weekly My Digital Studio crop. And now for the continuation of the journey home from San Francisco (in case you don’t watch Hell’s Kitchen – that’s what they say at the beginning of each episode – I’m trying to be funny – and I’m probably not – sorry). Let’s see I left off with us waiting for the wheel chair. Our assigned helper (not sure what they are called) came and got Tyler into the chair and got our gate information (first to the 7:45 standby flight) which was already starting to board. And in another terminal which we had to go outside and down to the next building to get to. And she wheeled us right to the front of the security line! Yeah – finally something in our favor. Nothing big there – oh but that reminds me of a small incident that happened on our flight out – sorry brief side story here – when we left Atlanta I told the boys – shoes off, jackets off, empty pockets, laptops out of your bag. They assured me they knew. But as we went through the line Greg went first, then the boys and I came last – the boys double checked with Greg (he probably wasn’t listening) about taking out their laptops. I did not hear this and as I got ready to go through security – both of the boys backpacks got pulled out to be searched and they took the boys aside. I’m waiting to go through and wondering what is going on. They DIDN”T take out the laptops – apparently Greg said they didn’t have to! The security lady was very nice and laughing at them for listening to dad instead of mom. I assured her that I told them to take the laptops out. Ok – sorry for the side story. Anyway in LAX we got through security (grateful that we didn’t have to wait in the long line). I told her I needed to find Sudafed – so we did that on the way to the gate. Then we went to the gate and she took our boarding passes to the agent. I ended up running back to get a really expensive pack of crackers because I wanted him to eat a little bit before taking the Sudafed. I came back to see that there are more than 40 people on the Standby list! And the flight was boarding. So we wait and watch the screen and watch the numbers and watch the people get on the plane. I thought there was no way we were getting on. But then I see that we are number 3 & 5 on the standby list. I ran to the desk to remind them that we were traveling together so either both or neither. As they finished loading the plane they kept calling over the intercom – everyone with a ticket board now. You will lose your seat if you aren’t on board now. Etc. I watched the board only to see the seats available change to 0 and we were now 2 and 4. They called our name to stand in front of the desk – so we did. Then it seemed the agents were becoming frantic – rushing around – telling people it was the last call. The girl with us pushing the wheel chair seemed to think we might make it. Then they told us to stand at the top of the bridge area – where they scan your boarding passes. The agents are now running around yelling – 3 min, 2, min – someone runs down to the plane. Someone needs to print a report. They tell us and a couple of other people to walk down to the plane but don’t get on. The agents start yelling at each other about the report and how many seats there are. The flight attendent lines us up in priority – I’m nbr 1, Tyler is 3 but they move the man between us behind him. Someone finally comes running of the plane to tell them there are 6 seats and he writes a number on each boarding pass and they tell us to get on quickly and get seated so we can leave. We do – they close the doors – I’m so happy we are on this plane and headed home. and we wait. the flight attendants check everything. and we wait. I talk to the girl next to me and she is traveling alone. I ask if she would switch with Tyler once we get in the air. She said she would do it now and tries to flag a flight attendant. Finally we see one and they find Tyler and bring him back to me. And we wait. Hmm. Why aren’t we leaving the gate……. Finally the pilot comes on – there is a problem – oh no! The plane is out of balance and they have to correct it by removing fuel from the plane so they are waiting on a gas truck to come. He will check the numbers every 5 minutes and update us every 10. What! You have to be kidding me. And personally if I’m flying across the US I don’t think fuel is what I want you to remove! So now everyone is allowed to get up move around, turn on their devices. I think everyone took that to mean – let’s go to the bathroom (which we were sitting in front of) and don’t bother using headphones! I even bravely told a man to have his child use headphones or turn off the sound on their game (believe me everyone could here it) – but it wasn’t the dad and when the dad heard us – he is on the other side of the plane – he is huge! He is probably the reason we are out of balance and he gave me an evil eye. And I gave him one back and the sound on that toy turned off. Tyler is trying to sleep but it just isn’t working – finally he starts throwing up on the plane – luckily I had bags with me this time. And we still haven’t taken off. Finally the pilot comes on and says we are good and everyone get in their seat so we can go. But then we still don’t go because of too much traffic on the run ways. Ultimately we left TWO HOURS after we boarded that plane. We sat at the gate for 2 hours! And you couldn’t get back off the plane. The 9 something flight left before we did. And once we got in the air – they ran out of food at the row in front of us. Not that Tyler wanted to eat but i was hungry and so tired. We finally arrived at the Atlanta airport at 5:00 pm just in time for Greg to pick us up and sit in Atlanta rush hour traffic trying to get home. But we made it. And Tyler went right to sleep. I got a shower, some food, and then went to sleep. We got Tyler on his meds – antibiotic and a steroid and then followed up with a doctor at home. Everything seems to be fine now and he still never had any signs that he was sick at all other than the head pain. I’m done – that is my long drawn out story. I hope at some point you laughed because if I didn’t laugh about it now I would be crying just thinking about it. But that was the one thing I didn’t want to do even though I wanted to during that whole journey. And if you know me I’m pretty much a crier – it doesn’t take much to bring a tear. I held strong. Now to wait and see what the insurance will and won’t cover on all the bills we got. And if they deny anything i think i’ll send them here to read my story on my blog! I have updated my list of retired Stampin’ Up! products that I have for sale. Lots of stamp sets and accessories. Please visit my page on my blog to see the list and prices. CLICK HERE.